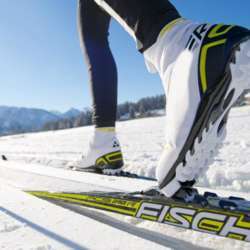 After the high snowfalls of these days, also at low altitude the Nordic ski season opens. The Cunardo track was born about 25 years ago, under the need of a local Nordic ski team, that existed since about Protected content . respectively 7. Protected content with natural snow. Should the snow fail, a 2.5 km circuit is guaranteed with artificial snow. The structure includes a '' Baita del Fondista '' where there are changing rooms, showers, and bar with little restaurant. and by appointment you can also take lessons with an instructor. Also for those who don't want to ski, there are some wonderful itineraries to do on walking. Bring a dry change ( for those who want available a shower), smile, sports mood.